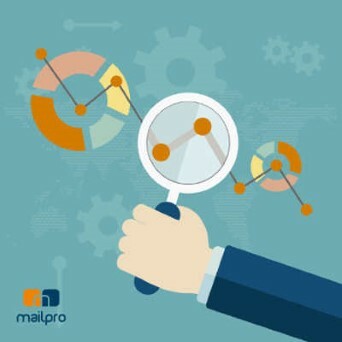 Mailpro Email Marketing Blog | How to pass Anti-Spam and deliver your emails better? How to pass Anti-Spam and deliver your emails better? You found the right Email Marketing Solution, you have greet things to communicate but somehow you feel a high percentage of your emails end up in the Spam folder? Spam filters work all differently and there is no exact science that can assure you that your emails won’t end up in the spam folder. 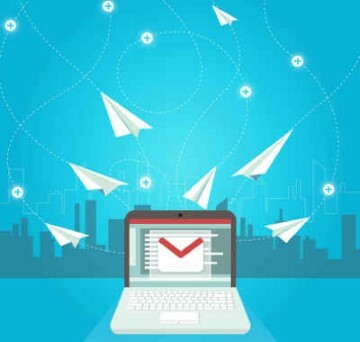 It is important to understand that each email server has different anti-spam rules and that it is impossible to know which rules have which email server. However, with a few tips and experience, you can drastically improve your delivery rate. It is important not to get demotivated. At Mailpro we see millions of emails pass every day, and we have compiled some tips to help you improve your chances of not ending up in the SPAM folder. We often think that the only thing that matters is what is inside the email. But this idea is wrong. The name or email from which you send your newsletter happens to also matter a lot. There are some email addresses that tend to get stuck by the anti-spam filters more than others. We recommend you to avoid free email accounts such as Hotmail, gmail, etc to make your sending’s. We recommend you do your sending’s from your own domain name email in order to get better chances of passing anti-spam filters. The email address is composed of two parts. The first is the name of the person who sends the email, and the second a domain name .com, .fr. etc. Well you might heard or not of SPF, DKIM and DMARC some of the most used filters by anti-spam. They mainly work authenticating your domain and so, your emails. Of course, as we mentioned previously, your email address matters and you need your own domain to configurate SPF, DKIM and DMARC. Again, It is not mandatory, however, we highly advise you to set them. These are methods of validation, where you add specific TXT records into your DNS Records. You shouldn’t be afraid to do this, as it really improves your delivery rate. The SPF for example, will allow the sender to define which IP addresses are allowed to send emails for a particular domain. You can also ask your webmaster or the person in charge of your domain name to help you set these if you need. Well if you send 10’000 emails to Gmail and 5000 are bad emails, then for sure your emails will be consider as spam. You should only send emails to people you know, or you have business with. Remember, Email Marketing is a great tool to communicate to your customers, not to get new ones. Also, use dynamic fields when you import you address books as it’s a great way to differentiate big amounts of emails from single contents emails. Often we don’t pay enough attention to subject lines. However we see how a newsletter with a good subject line has better chances of passing anti-spam filters, than a newsletter with a bad subject line. Finally, to personalize your title with our Dynamic Fields could be the best advice. If you personalize your title and content of email, then, each newsletter is different. This will help a lot to deliver as you can only personalize the email of you know, clean address book is the key, don’t forget. The content of your newsletter is actually the most analyzed part of your email, by the anti-spam. It is in our opinion, better to send newsletter of good content less often, than to bombard your audience with bad content newsletters. Therefore, when creating a newsletter there are some basic rules to follow, to make sure not to fall on the spam folders. Once again, avoid using Spam words Read our FAQ to get an idea of the list of Spam words you should avoid. For example, writing a newsletter with a price list and lots monetary signs, can make your newsletter end up on the Spam folder. 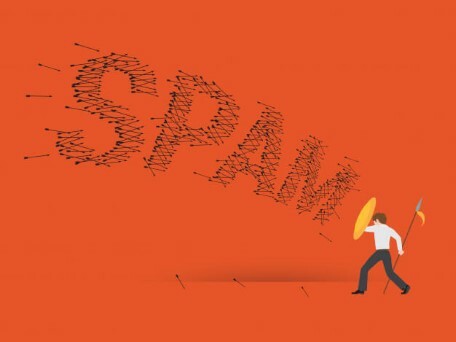 It is advised to read this list of spam words and try to use as few as possible of these words to increase your chances of having a high delivery rate. It is important to understand that when creating your newsletter, you must follow an image/text ratio. If you create message which contains only images, chances are your message will end up in the spam folder. At the same, you must take into consideration if you send a newsletter only containing text, the message might not appear appealing to your audience. Therefore, we must find a balance between images, which should attract the attention of your clients, and informative, good quality text. Companies often use paid designers to create the design of their newsletters. However designers sometimes use photoshop to design it, adding an image with text inside it. This is can drastically decrease your delivery rate as the message it’s just an image. It is advised to use an image and the text separately. It is also important to make sure you have links inside your newsletter. By using Call to action buttons, you will invite customers into a specific action you want them to take. When creating your links, it is always better to use buttons with the links inside. A button that says “Visit our Website” will pass anti-spam filters much better than if you write the link directly saying visit www.mywebsite.com on your newsletter. Personalizing your newsletter it’s something very important that needs to be done before sending your campaign. This means you are able to add the name of each of your customers easily. Did you know that by personalizing your newsletter you can have a better chance of passing the spam filters? Also, it will help you increase your opening rate. Mailpro lets you personalize your newsletter easily by using dynamic fields. Personalizing your newsletter will also make your customer feel special, cared for and remembered. The easiest way to personalize your newsletter is when importing your address book. For example, if you are creating your address book on excel, make sure you use some of the fields such as field 3 and 4 to add the name and last name of each customer. This way, when you import your address book into Mailpro, you already import your address books with the names. Then just use our Dynamic fields inside your newsletter. These are some basic tips you can use to try and have a higher delivery rate. Don’t forget to always test your campaign before you send it! We hope these tips will help you have a higher delivery rate until you become an expert in the email marketing field! Deliverability Technician is the man you need to carry your emails to your recipients. Expert in networks, a routing pro, he will tell you all of his techniques.